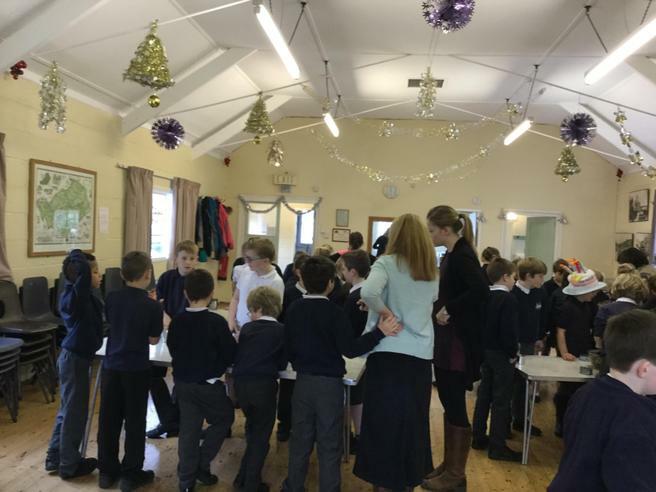 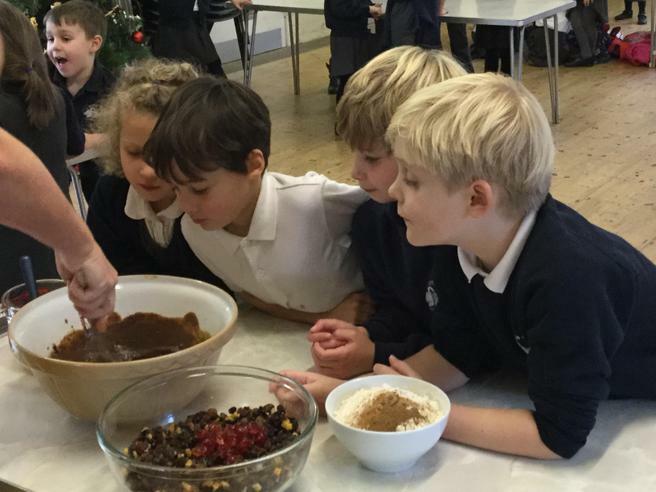 We are very grateful to Mrs Sue Durrant from Tesco for spending the day with the children baking individual Christmas Cakes. 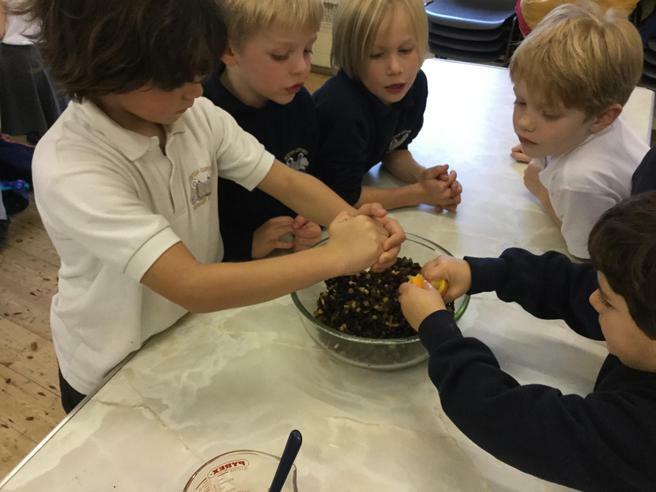 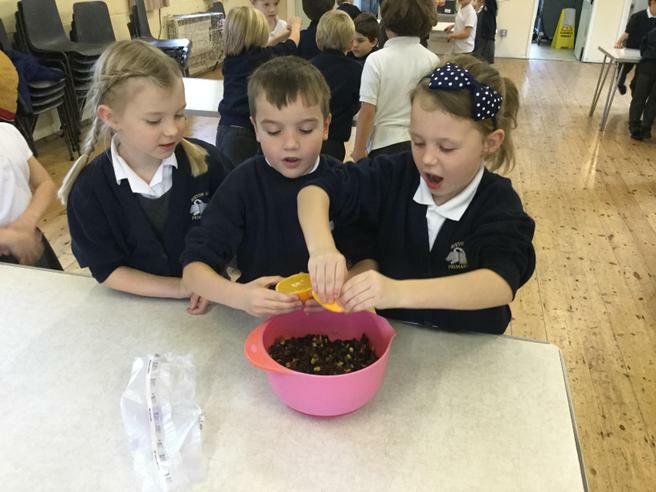 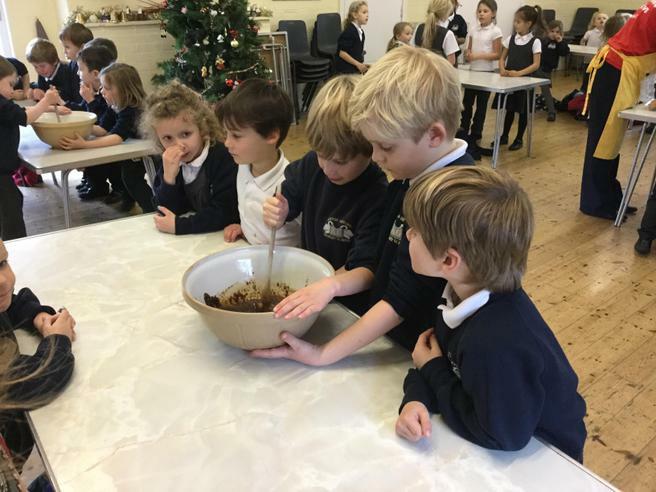 Using produce supplied by our local Tesco store, the children all took it in turns to weigh out the ingredients and stir the cake mixture. 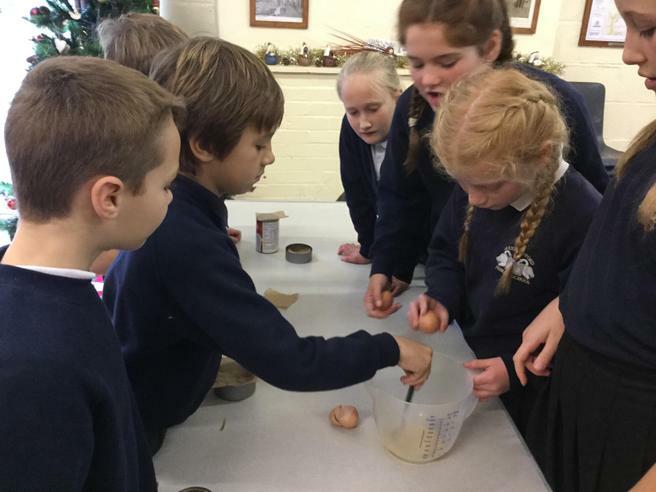 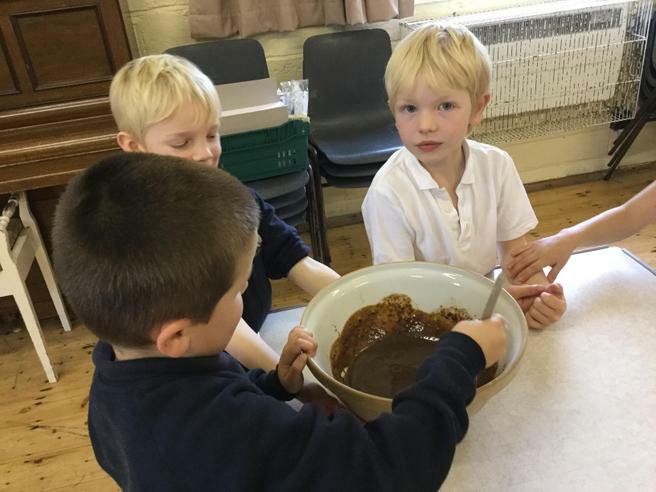 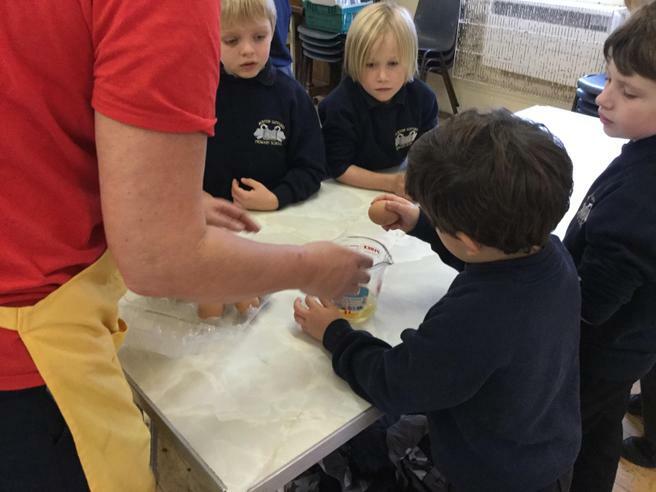 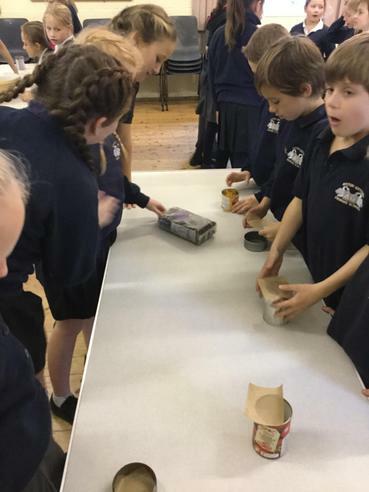 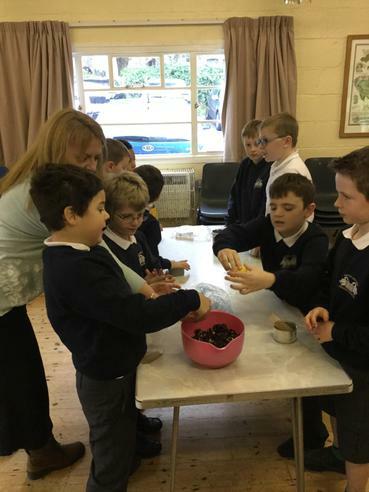 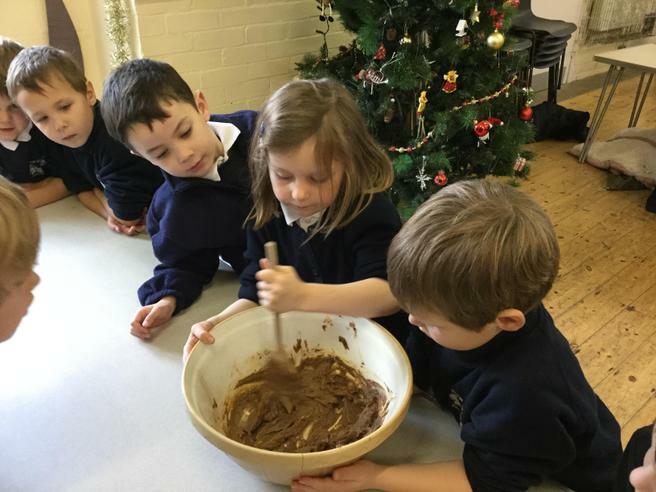 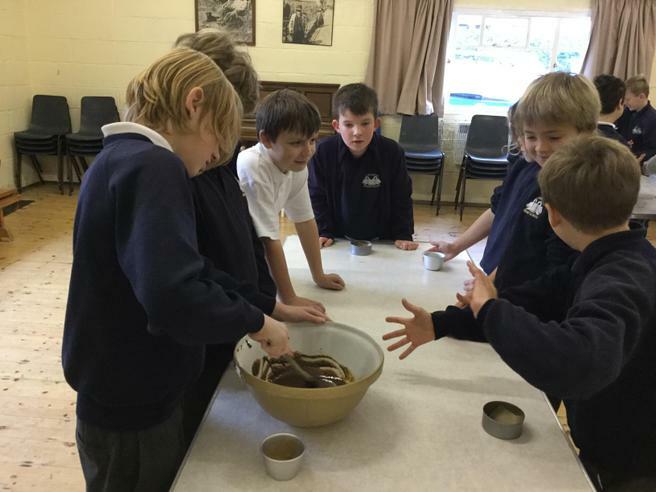 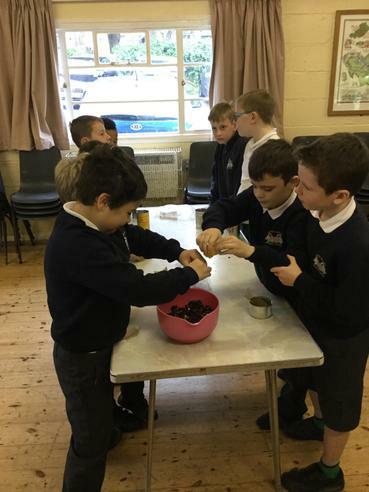 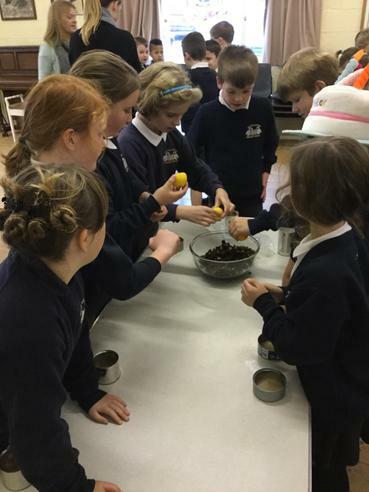 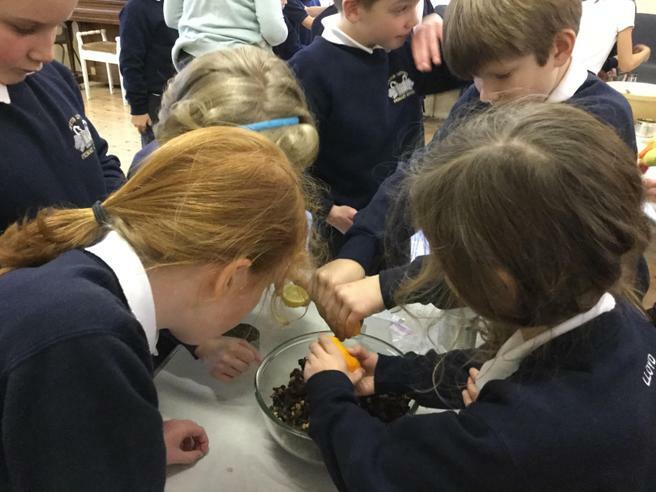 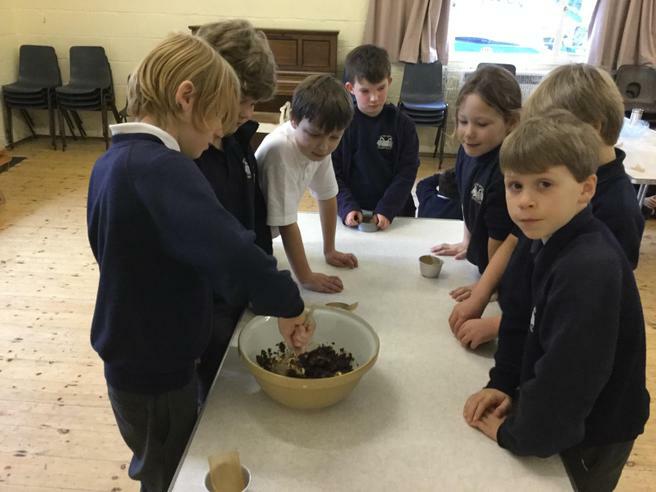 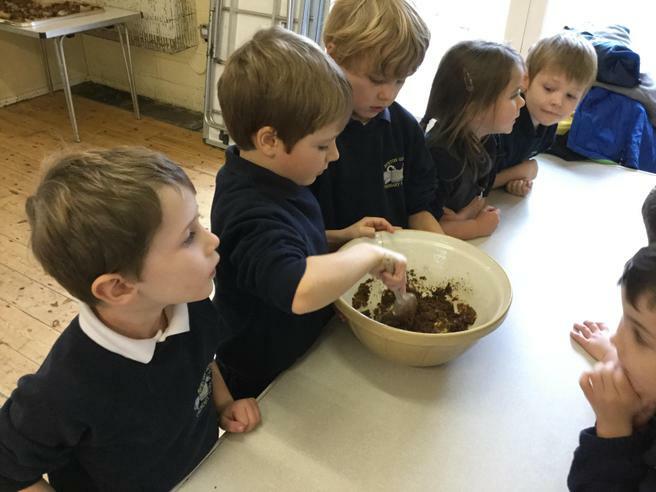 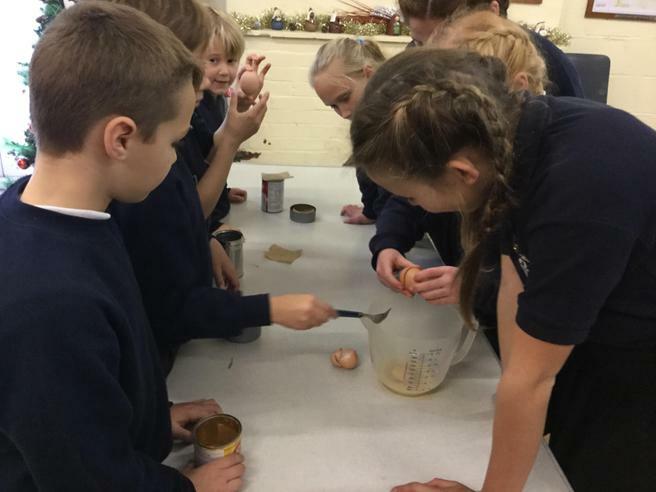 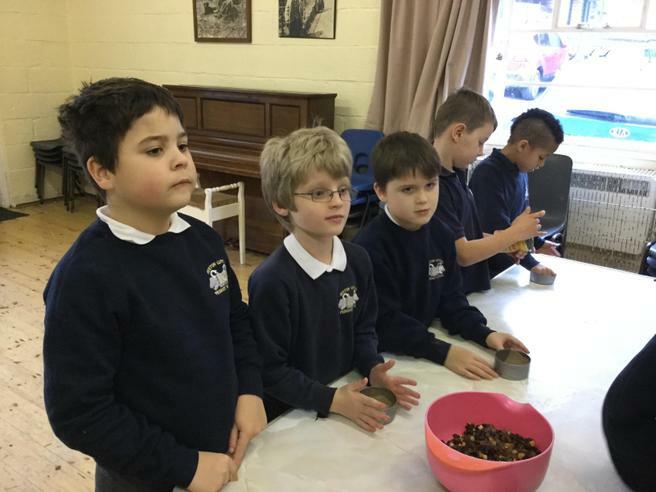 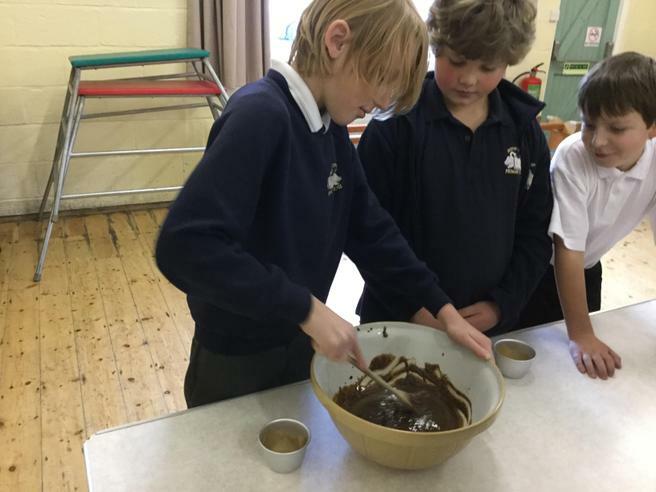 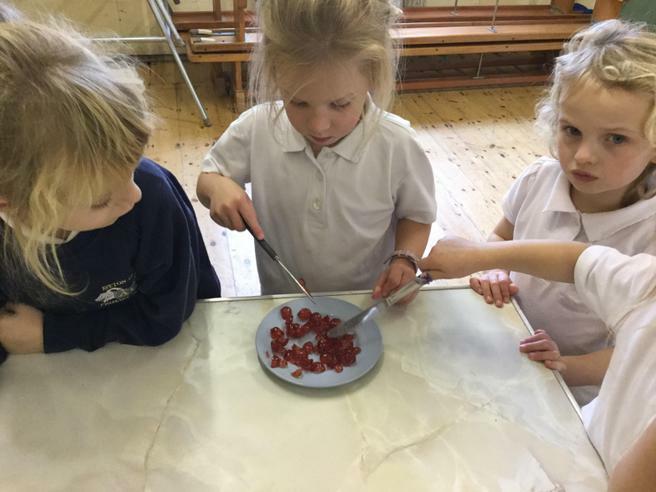 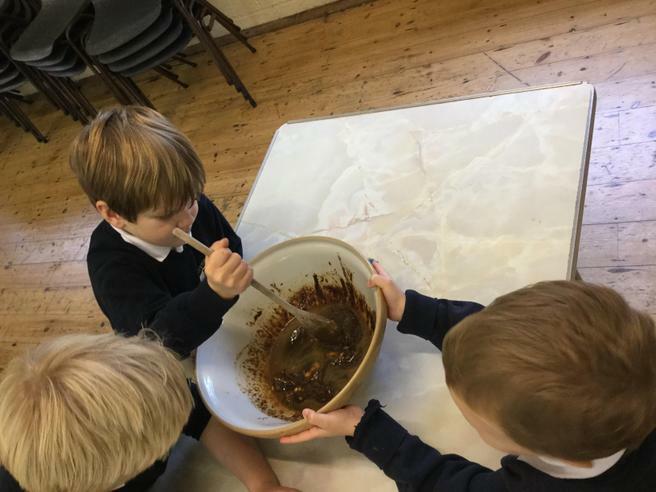 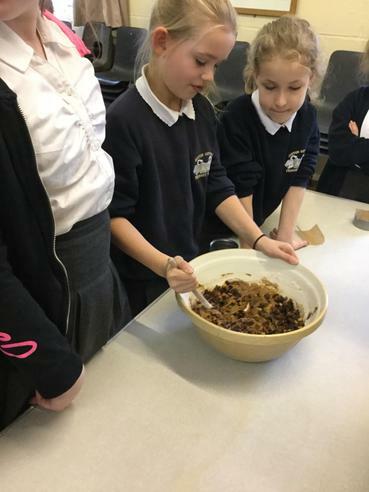 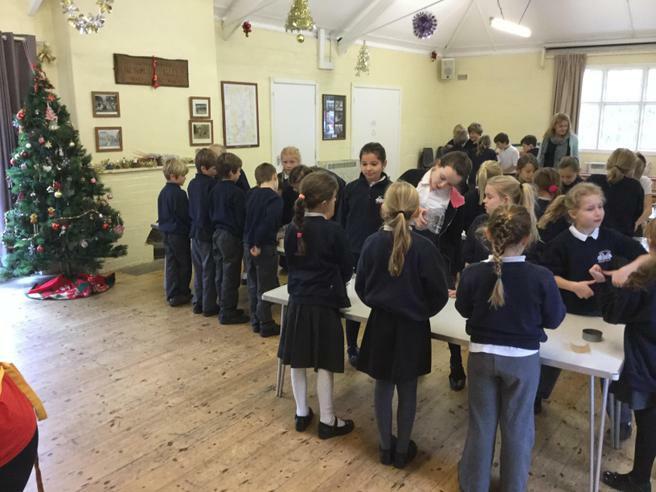 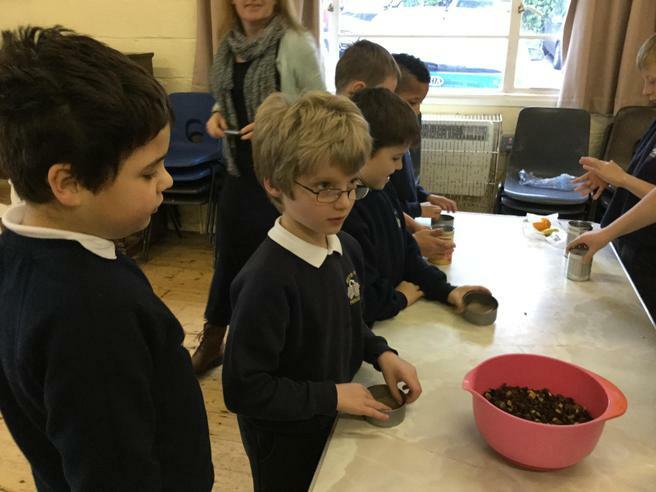 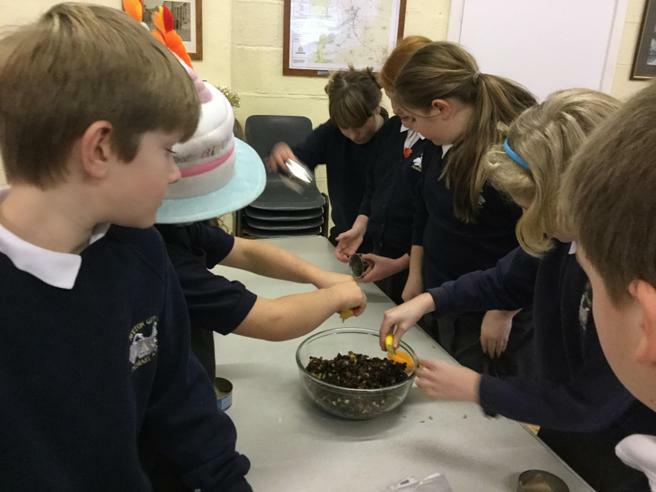 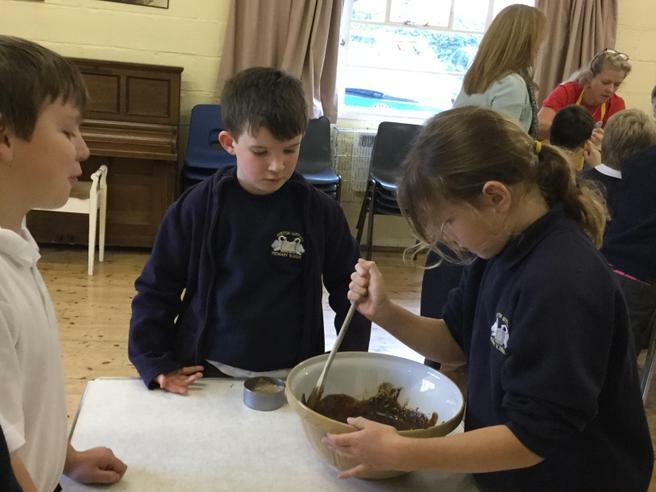 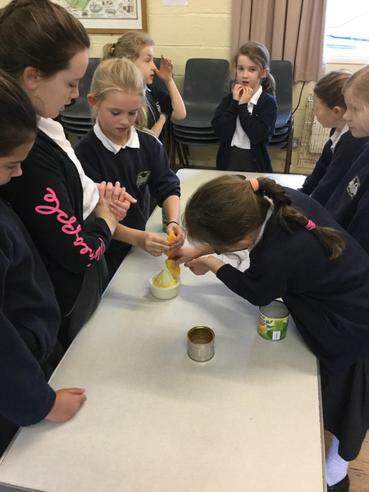 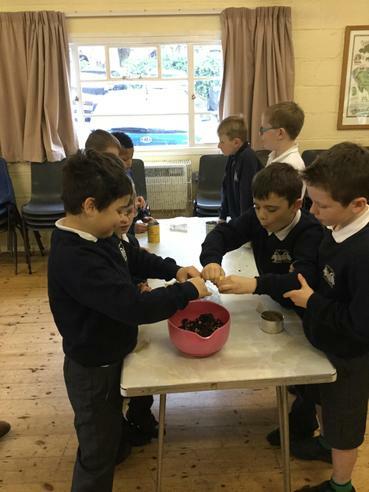 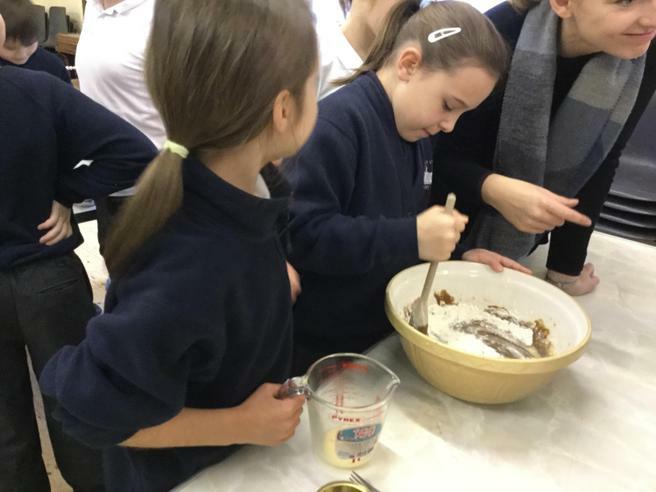 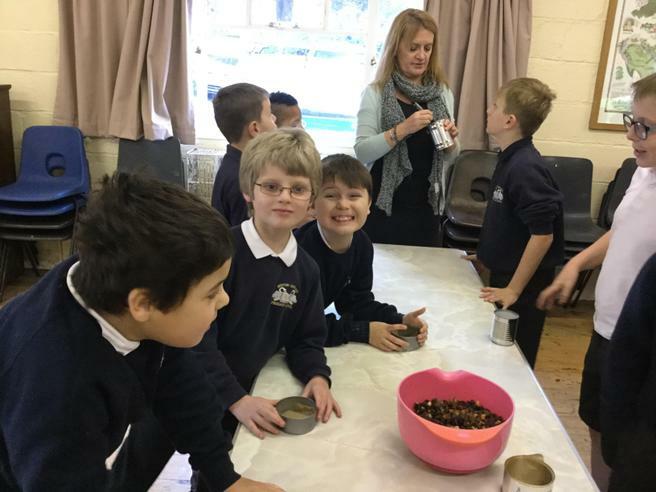 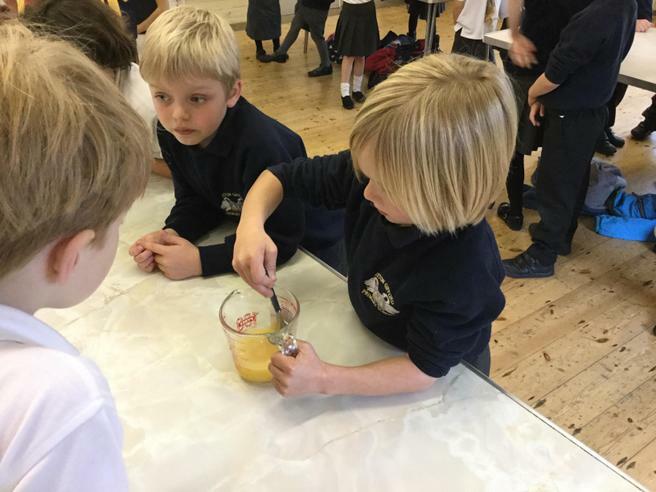 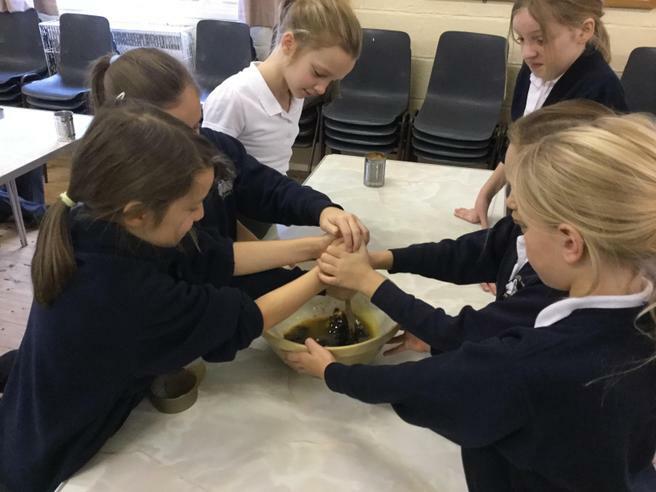 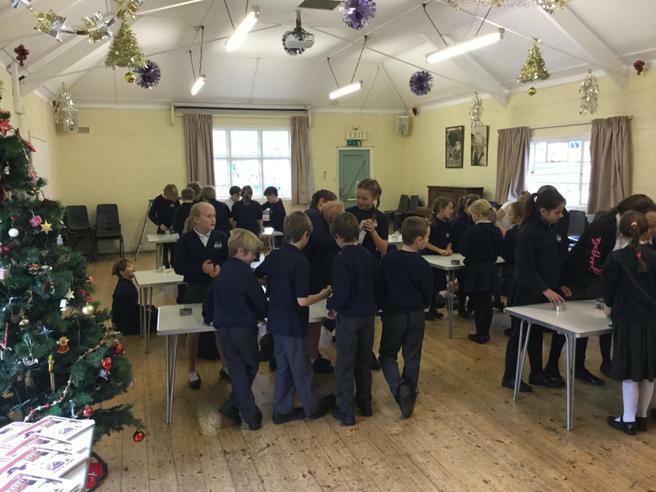 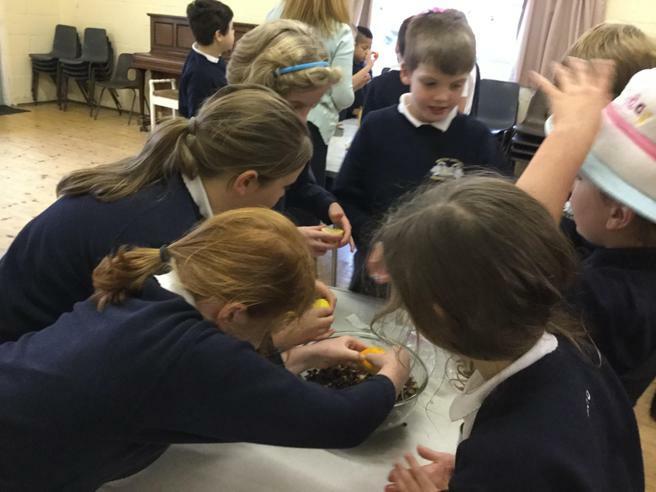 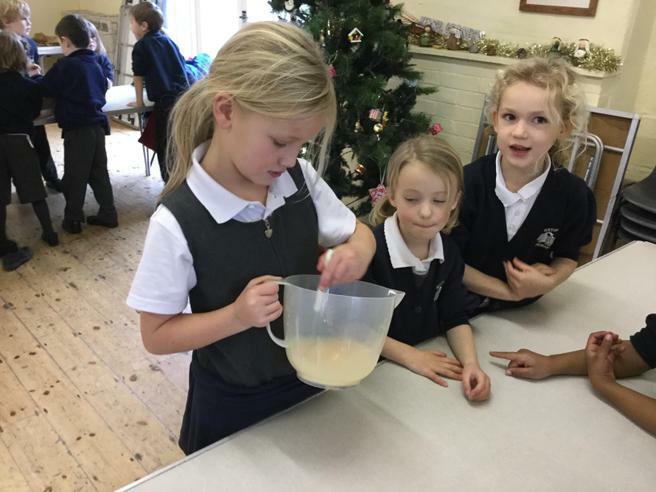 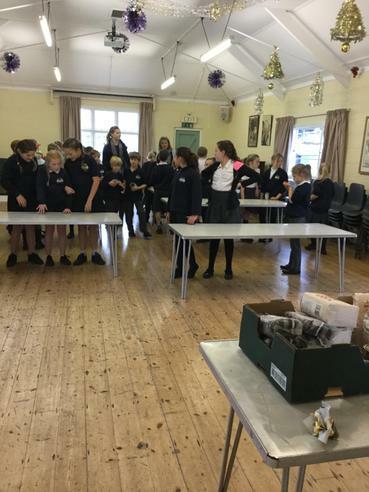 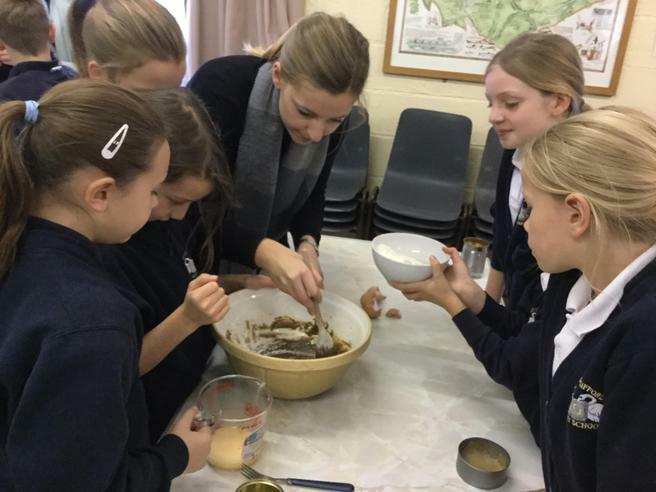 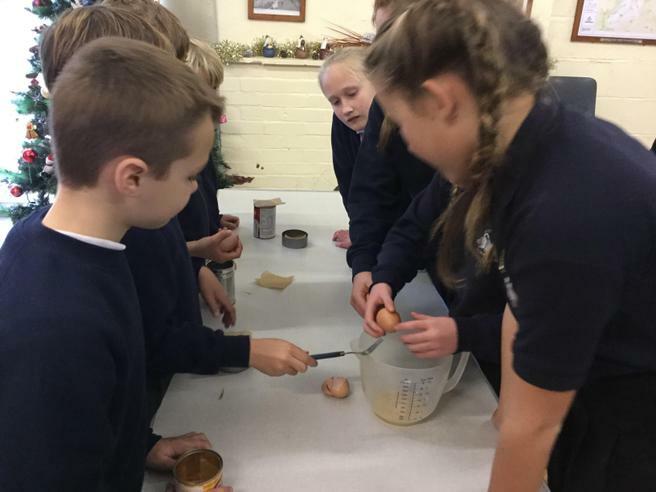 Everyone had been asked to bring a small tin into school which they filled with the delicious cake mixture they had prepared. 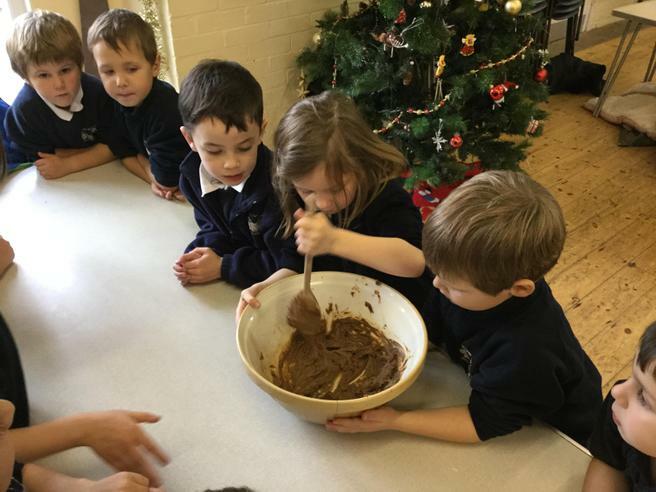 We would like to say a very big thank yo to Mrs Durrant for helping to get our Christmas celebrations off to such a lovely start.